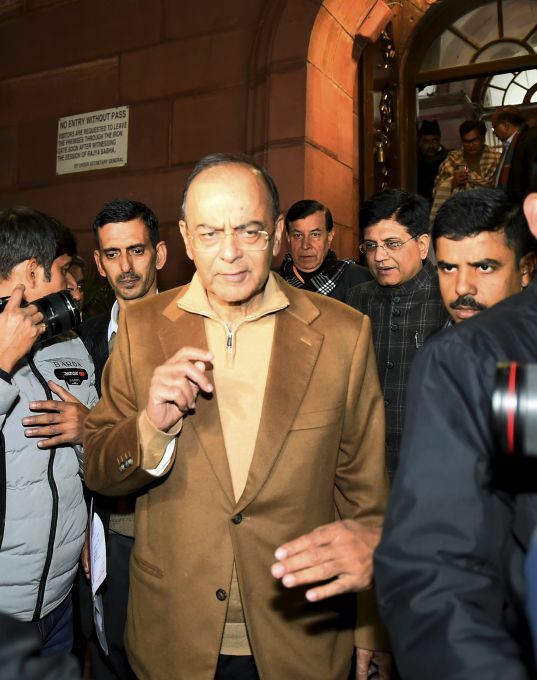 New Delhi: Finance Minister Arun Jaitley coming out after Rajya Sabha passes the bill to provide 10 per cent reservation in jobs and educational institutions to economically backward section in the general category, in Rajya Sabha in New Delhi, Wednesday, Jan 9 2019. 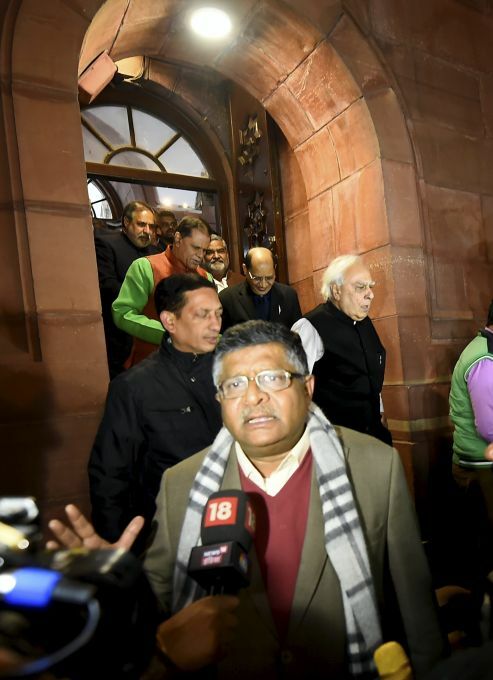 New Delhi: Union Law Minister Ravi Shankar Prasad talking to media after Rajya Sabha passes the bill to provide 10 per cent reservation in jobs and educational institutions to economically backward section in the general category, in Rajya Sabha in New Delhi, Wednesday, Jan 9 2019. 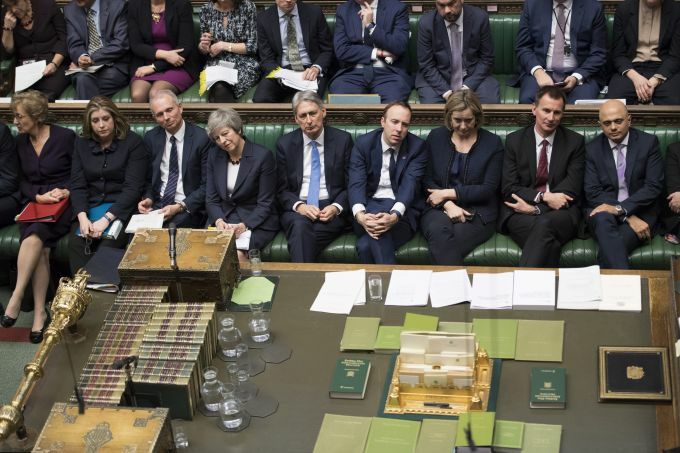 London:: Britain's Prime Minister Theresa May, fourth left and members of her cabinet listen, during Prime Minister's , Wednesday, Jan. 9, 2019. The British government brought its little-loved Brexit deal back to Parliament on Wednesday, a month after postponing a vote on the agreement to stave off near-certain defeat. 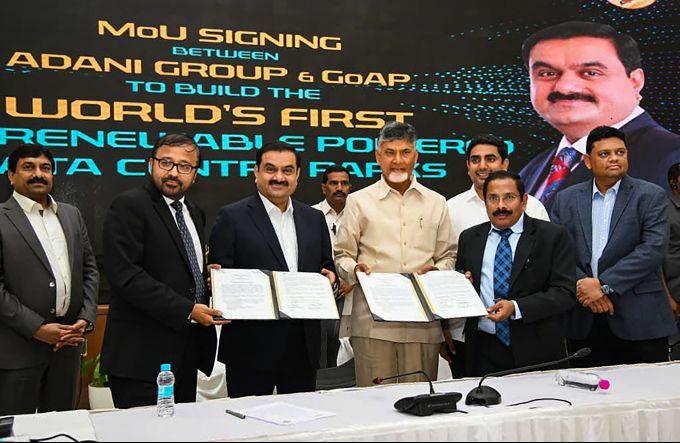 Vijayawada: Andhra Pradesh Chief Minister N Chandrababu Naidu poses for photos after signing an MoU with Adani Group, in Vijaywada, Wednesday, Jan 9, 2019.